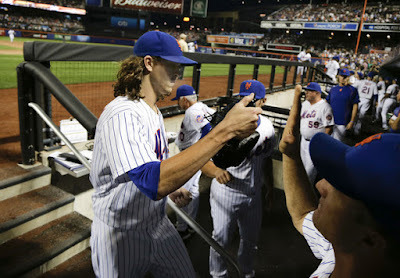 Wednesday August 12th 2015: Terry Collins first place Mets (62-52) riding high ten games over .500 hosted Walt Weiss' 5th place Colorado Rockies (47-65). Tonight the Mets Jacob deGrom had one of his best outings of the year as he went up against Jorge De La Rosa in front of 37,175 at Citi Field. 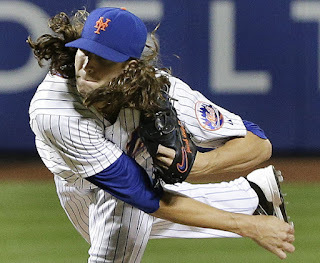 deGrom would blank Rockies very easily tonight, striking out at least one batter in every inning he worked striking out at least two three times on the evening. His ten strike outs marked the fourth time on the year he had reached double figures in Ks, with a season best 11 strike outs coming on May 21st against the Cardinals. He would allow just two hits, making it the second time on the season he had allowed just two hits in at least seven innings of work. Tonight the win got deGrom to 11-6 with one of the leagues best ERA's at 2.02. He would actually go below the two mark after his next outing at Baltimore where he allowed just one run in 7.2 innings. 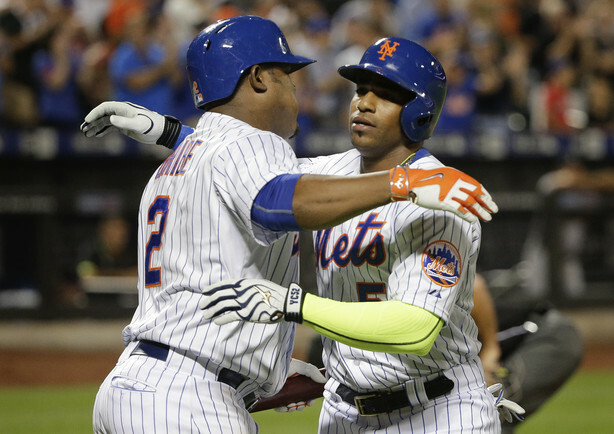 In the 4th inning, Juan Lagares singled, Juan Uribe doubled him in & he was driven in by Micahel Cuddyer making it 2-0 Mets. Yoenis Cespedes added a solo HR in the 8th, his 19th blast of the season as he continued his tear since coming to the Mets.